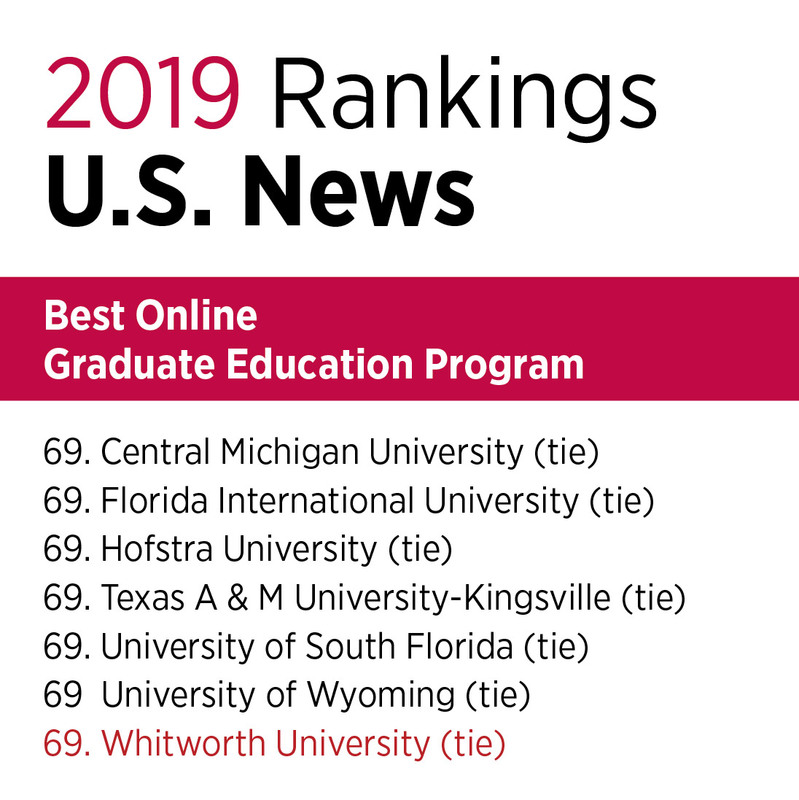 Whitworth University has been selected by U.S. News & World Report as having one of the top online graduate education programs in the country. Whitworth placed in the top 20 percent (tie for No. 69) of the more than 300 schools on the list. 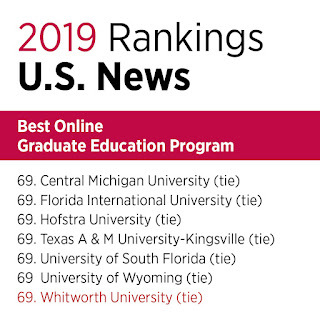 The rankings are based on five general categories: engagement, services and technologies, expert opinion, student excellence, and faculty credentials and training. Whitworth University is the only university in Washington to provide a master’s degree in gifted and talented education. It was also the first to offer the coursework required for the gifted education specialty endorsement for the state of Washington. All online education classes are recorded and archived so students can access the information on their own time. One hundred percent of students are already employed when they first enroll, and Whitworth does not require applicants to have taken the Graduate Record Examination (GRE). “This program has given me the tools and background to better support and advocate for students, both in my own classroom and throughout Washington,” says Camille Jones MAT ’18, Washington state’s 2017 Teacher of the Year. U.S. News & World Report has published its rankings annually since 1983. However, this is the first time it has ranked universities and colleges in this category. Click here to see the complete list.